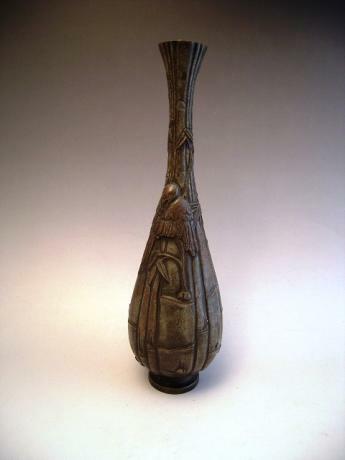 Japanese 20th century bronze flower holder by metal artist HONGO TOSHIHIKO (1947-2010). HONGO TOSHIHIKO lived and worked in TOYAMA Prefecture. 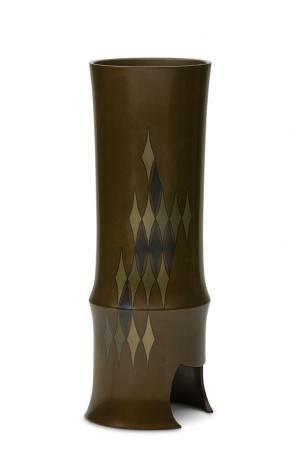 The flower holder has a diamond design done with inlaid metals. 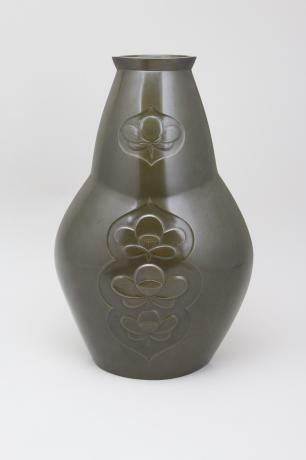 The vase is unsigned but comes with TOMOBAKO, or original artist signed wooden storage b..
Japanese 20th century (1990) metal flower vase. This contemporary designed flower holder was made by Living National Treasure artist, SEKIYA SHIRO. The holder is signed on the bottom. It measures 8 3/8" tall and 5" in diameter. 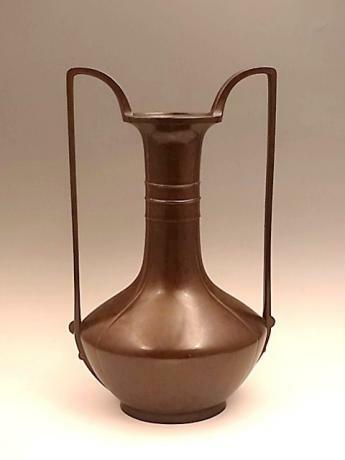 The vase comes with TOMOBAKO or original artist signed wooden storage ..
Japanese 20th century bronze vase by WATANABE TADASHI (1924-). This particular piece was an exhibition piece from the 1965 Nitten Exhibiton, or the 8th Nihon Bijutsu Exhibit. 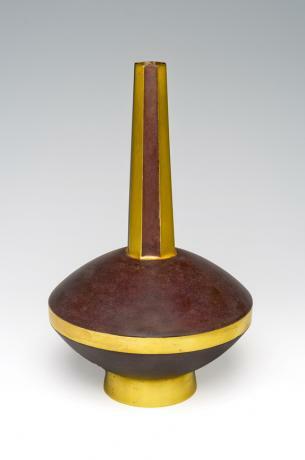 The vase measures 14 3/4" tall by 9" wide and 6" deep. 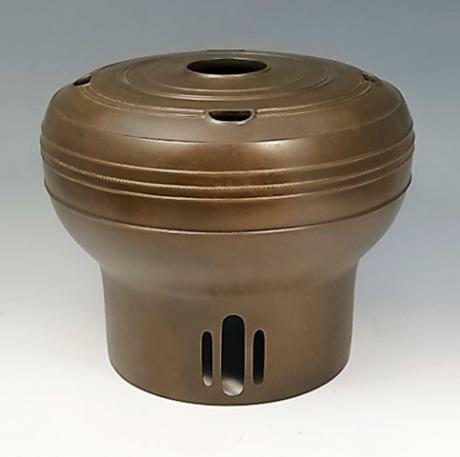 The basket comes with TOMOBAKO, or original artist signed wooden ..
Japanese mid 20th century bronze vase by bronze master artist HORI JOSHIN (1907 - 1993). 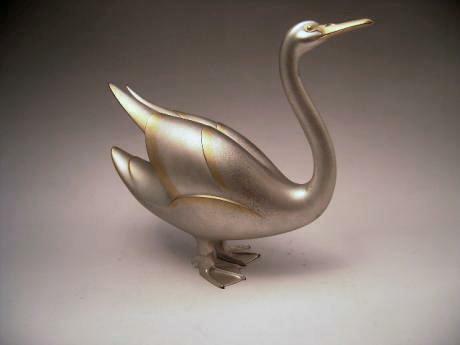 JOSHIN was a student of one of Japan's most famous bronze artists, OSHIMA JOUN. 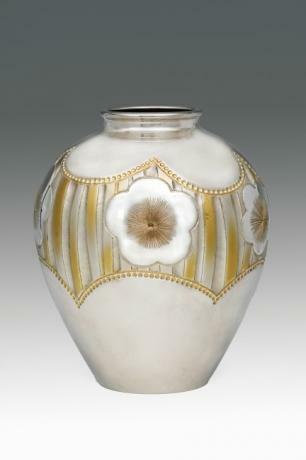 This vase is made low and wide with small handles at the sides. Comes with TOMOBAKO, original artist signed wooden storage box. 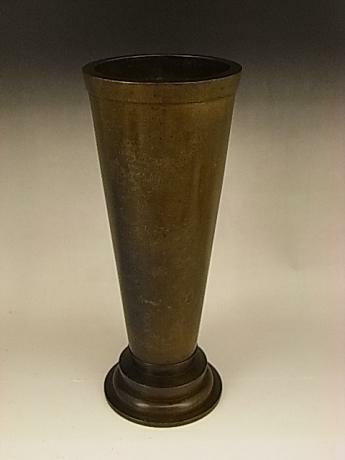 8..
Japanese early to mid 20th century bronze vase by Living National Treasure artist, KATORI MASAHIKO (1899-1988). KATORI MASAHIKO was born in Sakura City in Chiba Prefecture. 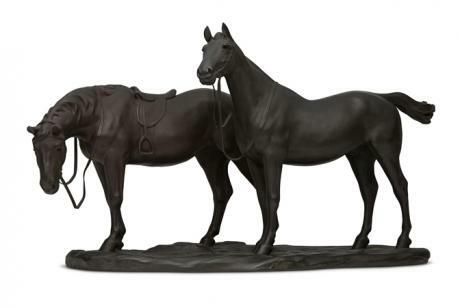 His father was KATORI HOZUMA, one of the pioneer Meiji Period bronze artist. He went to the Tokyo School of Fine Arts, whe..